EC has a few new products and of course I had to order all of them. The one I’m most excited about is the menu planning bookmark. I got right to work planning our menu for this upcoming week. EC suggests using a Sharpie to write on the bookmark, so I have used a Sharpie fine point marker. It writes really nicely and dries almost immediately and there is no smearing at all. 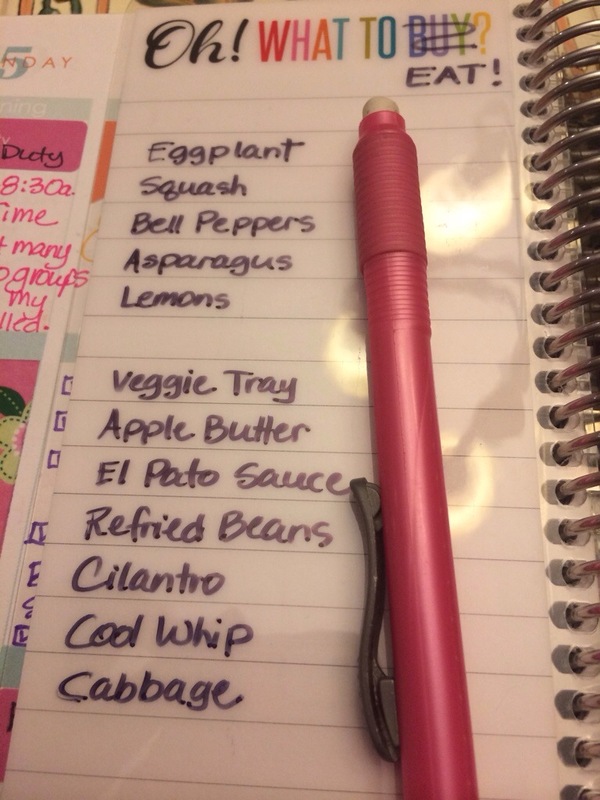 I use the back side of the bookmark to list those things I need to work into our meals, that will go bad in the fridge or on the counter. 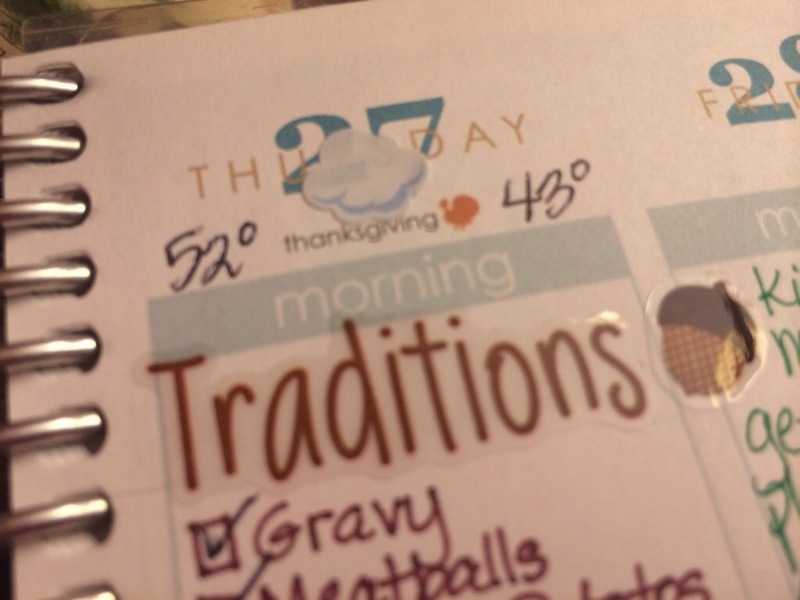 I have been really bad about food spoiling in the fridge, so I’m hoping having this list will make a difference. But then there was a problem with removing the ink. I tried using rubbing alcohol and it left an ugly black residue, even after some serious scrubbing. 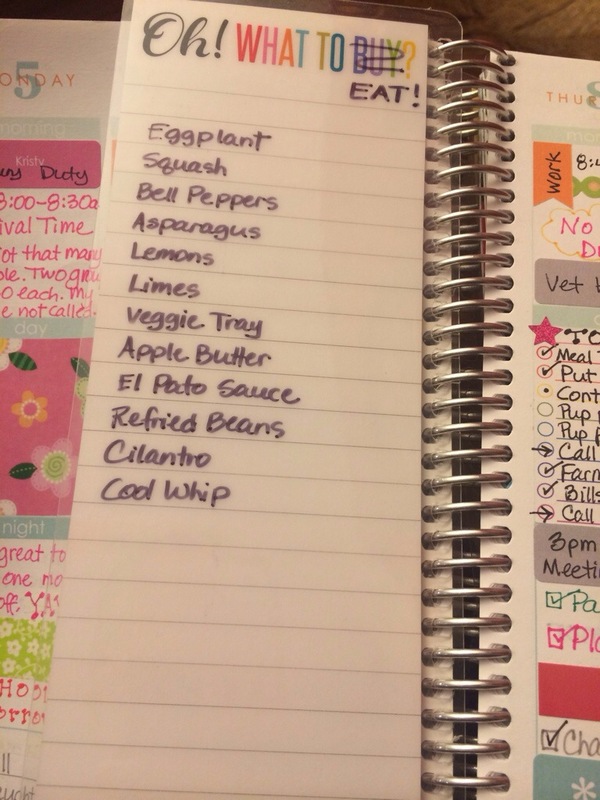 With my list being foods to eat, once we’ve eaten it, I need to be able to remove the food and add something else in it’s place. I asked in the MyEC groups and got a ton of suggestions, but the one that I like best, and will work best for me is using a simple click eraser stick! I am able to remove just one line if necessary, and it’s not messy at all!! This will allow me to add and remove things from the list in no particular order, and I have high hopes for this tool in my planner. 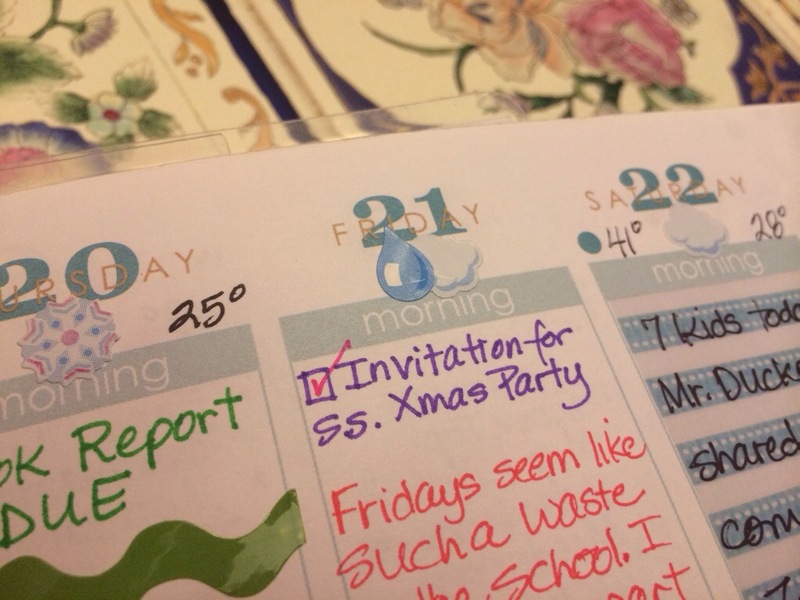 I’m using the tiny space, next to each day, to list anything that might require a more special meal, or special event surrounding a meal, just anything that needs more attention for that meal. 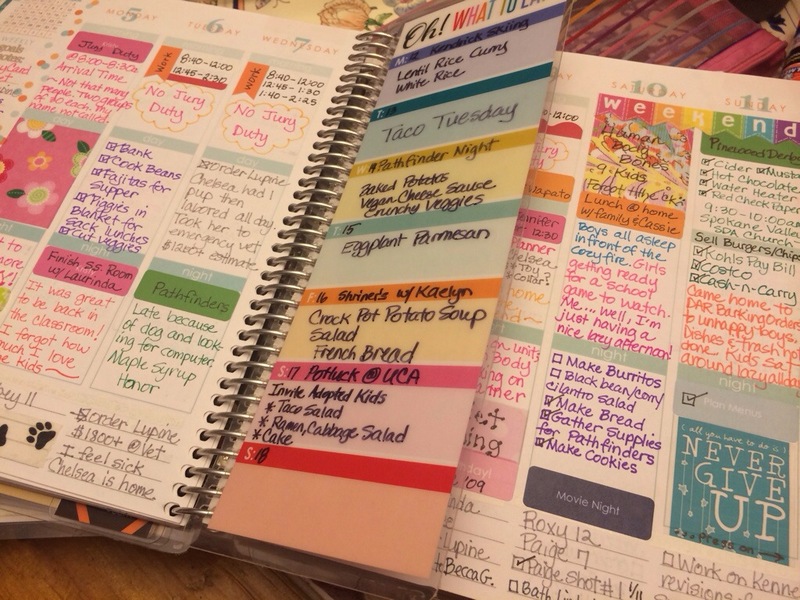 I think this is going to be a super useful item in my planning routine, and hopefully we will eat more and spend less in the process! 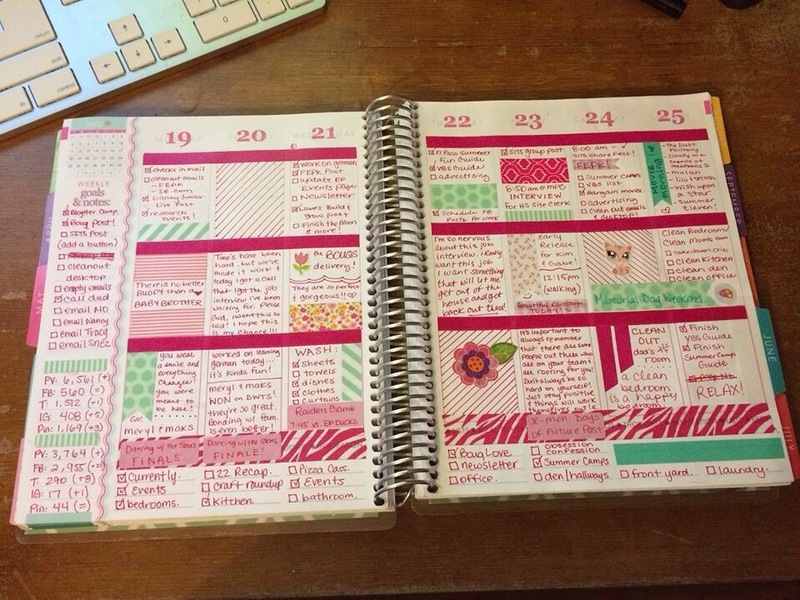 And it looks super cute in the planner!! I’m feeling like I may have stumbled onto a brilliant idea, and it came from my own head! 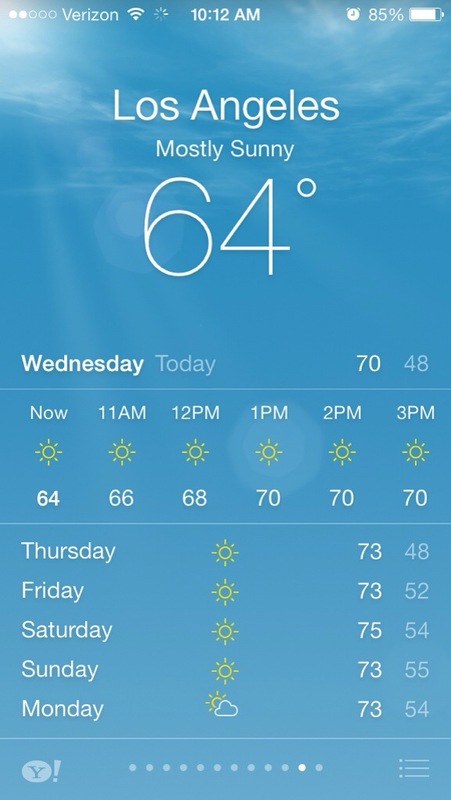 Imagine that!! 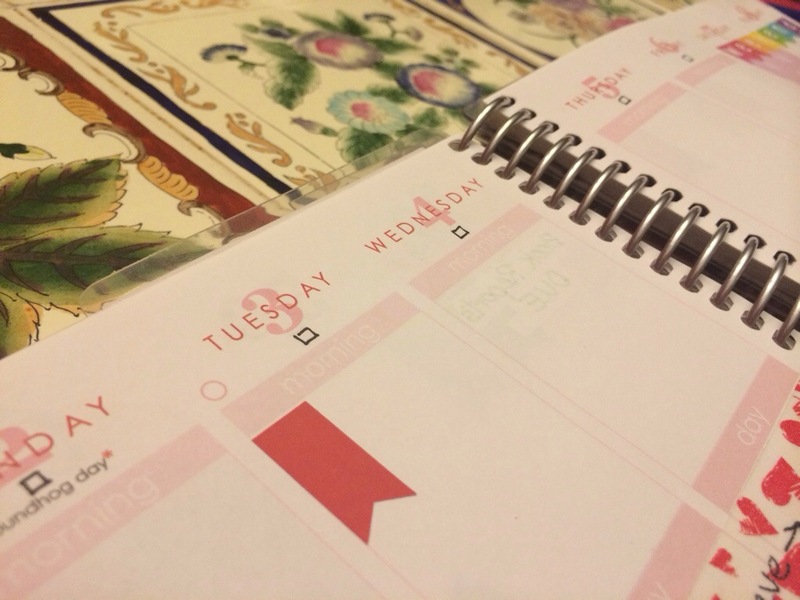 I NEVER use this tiny calendar in the top left corner of the weekly spread. 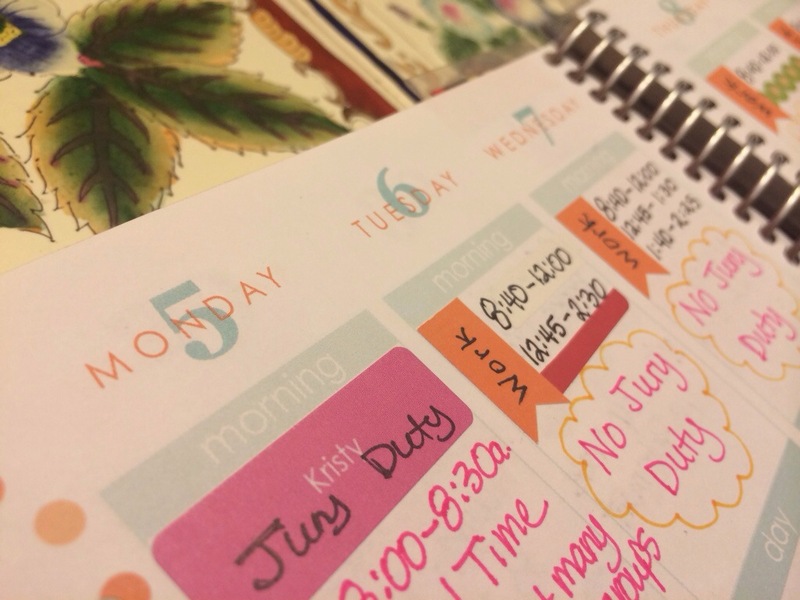 I hate having any space wasted in this planner and now with the menu bookmark, I can truly use it for all areas of my life…personal and family, business (bottom lines are dedicated to that), meals (on the bookmark), but I need a place to track my water intake. 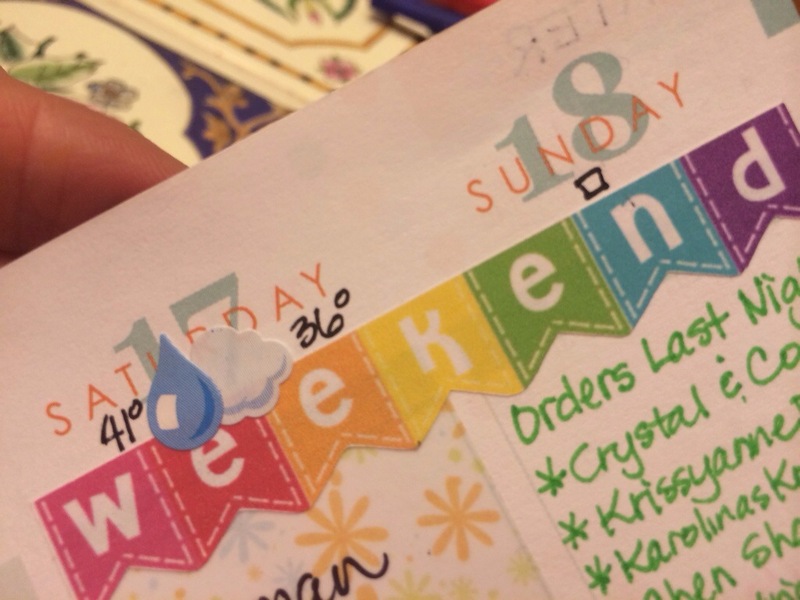 I’ve used the water drop stickers, and while I liked those, adding them on the same spot each day added bulk to my planner and if I failed one day to drink any water, I hated wasting a sticker as I would already have the sticker on the weekly column. 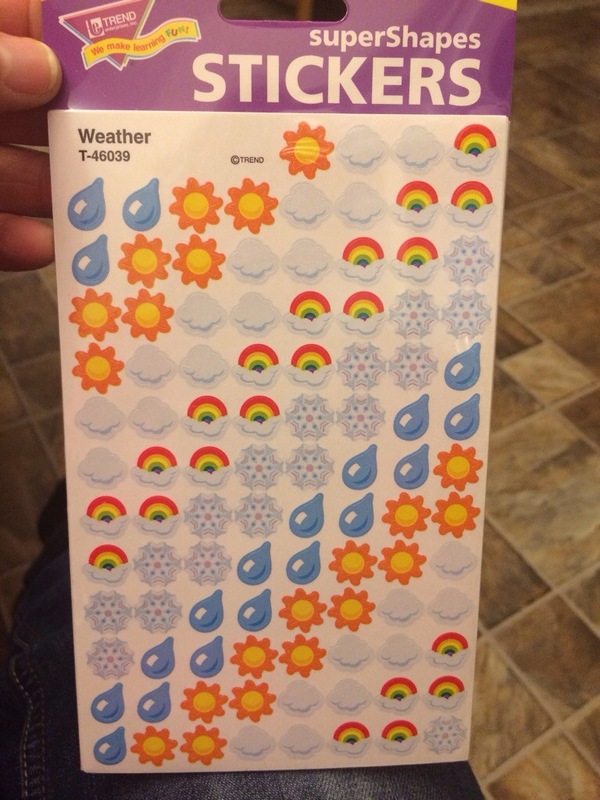 I also don’t have space for a water sticker each day, or rather I don’t want to dedicate a sticker’s worth of space for just that. Well, I just had this idea and I think I love it. I used an old box to do a mock up, and I used different marks to see which one I might like best. 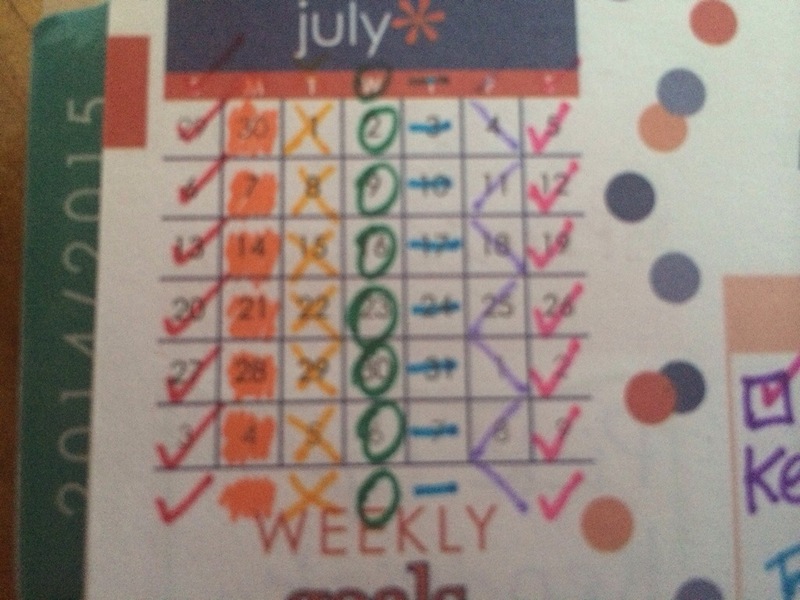 I worked down, so each day accounts for itself, and I used the letter of the day on top and put an extra mark below to make space for my “8 cups”. I think this is going to work! I wish I had tried drawing little hearts too, but with what I tried, I think I like the tiny checkmarks and the zig zag line best. I love that this won’t add bulk, it’s already there, and this seems super easy to maintain!! I love simple and easy! 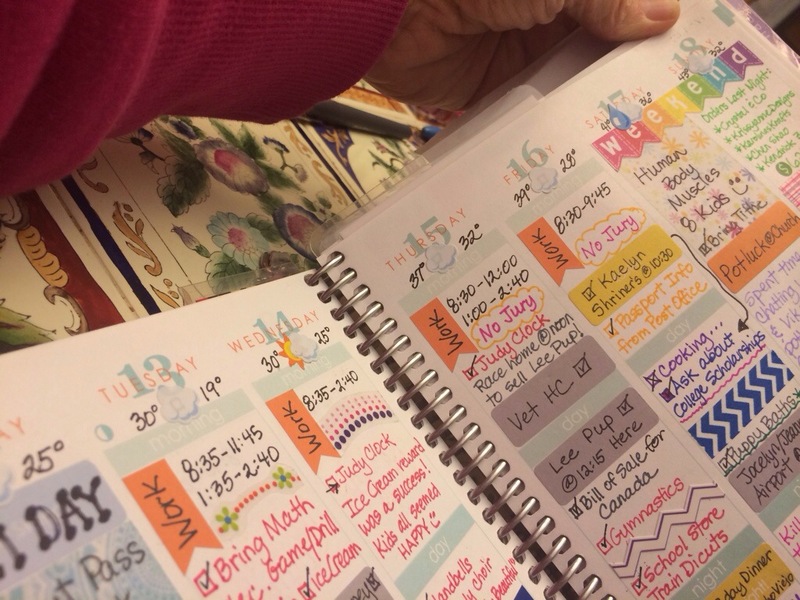 I just want to share these lovely layouts from Brittany in the My Erin Condren Simple (MyECS) group on Facebook. 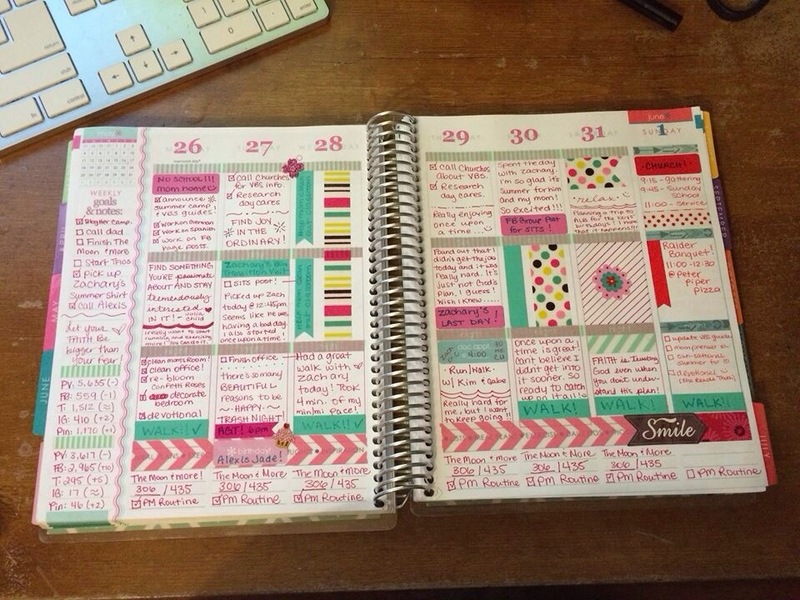 There are so many ways to “do” an Erin Condren planner, but this has to be one of my favorites! 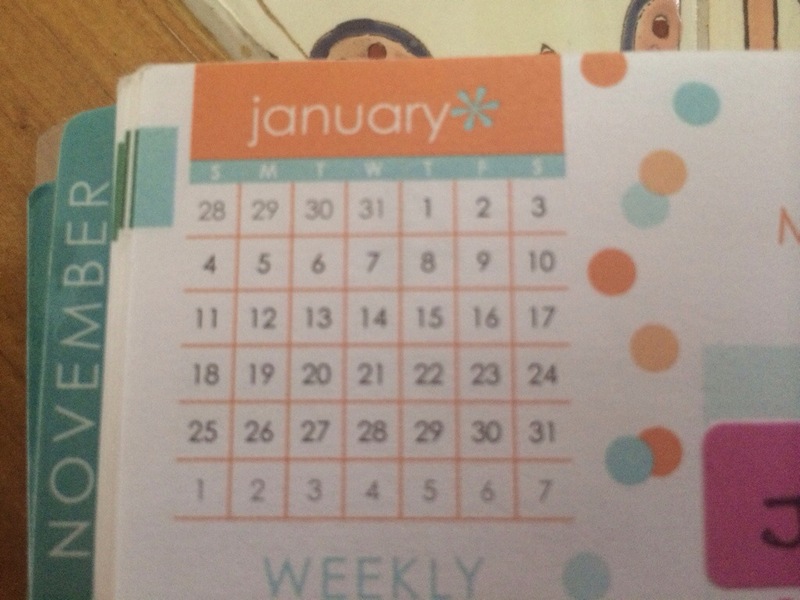 She matches her simple decor to the color palette for each month. 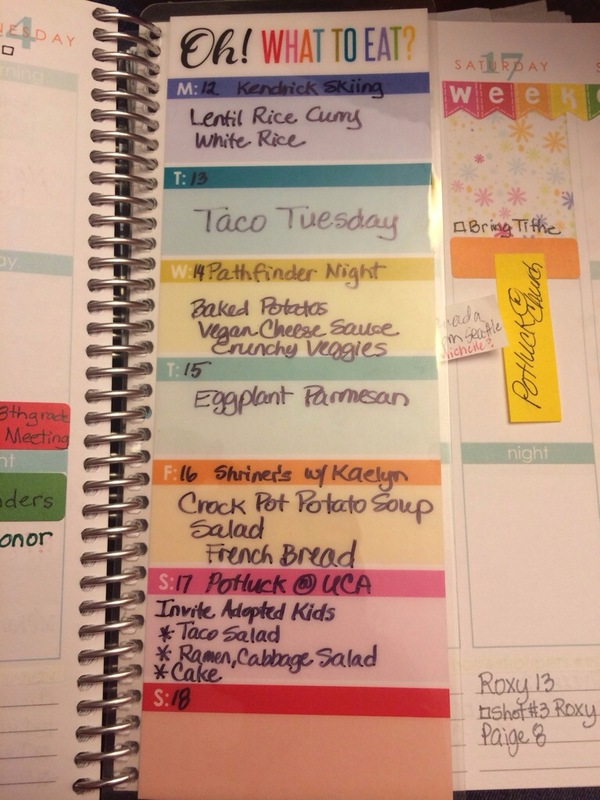 If there are blank spaces at the end of the day, she fills those in with simple coordinating Washi tape or simple stickers. 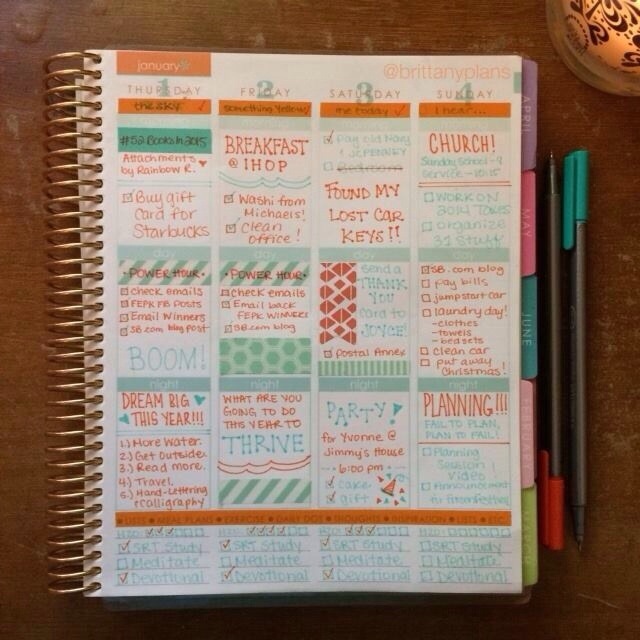 The end result is a very organized, yet beautifully functional planner that is very pleasing to the eye. You can see more from Brittany at http://www.simplybrittany.com!